Consistent content that’s optimized for search results is marketing gold. 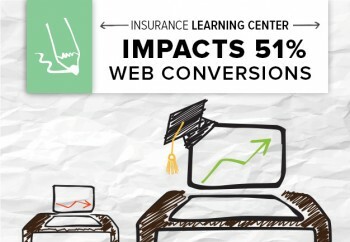 One insurance company invested in content marketing services to help in-house writers build out a learning center on its site. Our editorial teams provided supplement articles in addition to posts the in-house team had been producing, so they would have more time to spend on other projects. The result? The blog’s strengths were also creating weaknesses. With such a broad swatch of topics to cover, the internal team was producing content inconsistently across each. Not to mention, it takes time to follow each of these veins and provide up-to-date coverage on deadline. A study by Kapost estimates a company needs 251 ideas to fill up a content calendar every year, and it takes the average business over 5 hours to complete each article. Across four content categories, it’s going to take an internal team at least 20 hours to produce just one article per section per week. This doesn’t factor in the time it takes to find visual content or publish the posts through a content management system. And, it only considers written articles. The visual content, social media, downloadable assets and videos that are now standard procedure for web marketing each require significant time investments that marketers can’t always afford to make. To produce diverse content at a rate that encourages people to return to the site and makes an impact in search visibility, marketers need a team that’s dedicated to content. Despite the strength of our insurance client’s initial archive, the company needed more consistency and additional coverage to build its search presence. Almost two years into the strategy, around 27 percent of all traffic going to the site is coming through the learning center. People find the articles in search results when they’re searching for information on insurance coverage, and they’re clicking through to the site to learn more. This is where the goal completions come in. Around 51 percent of visitors who convert on the site (took an action like requesting a demo, reaching out to speak with a sales rep) interacted with the learning center content. One reason for this high percentage is that the brand has a great call to action directly below every blog article that asks readers to take an action. The form is easy to use, engaging and provides instant gratification. The learning center has already overtaken some of the company’s other web marketing strategies for goal completions. Traffic that engages with the learning center content has a conversion rate 40 percent higher than traffic from paid search ads. That success rate has spilled over to support the website as a whole – goal completions are up 20 percent for the past six months. Since hiring a dedicated editorial team to manage its industry-focused content, the insurance company’s internal team doesn’t have to divide its resources across multiple focus areas. With SEO content under control, the team has devoted more time to creating content that builds a strong brand identity,engages customers and promotes its client relationships. Now that the company has the basics of content marketing successfully running, it can work on more complex projects. The brand is positioned to expand its search presence further so it can take on some of the biggest insurance providers on the web – a task that will require the team’s full attention!